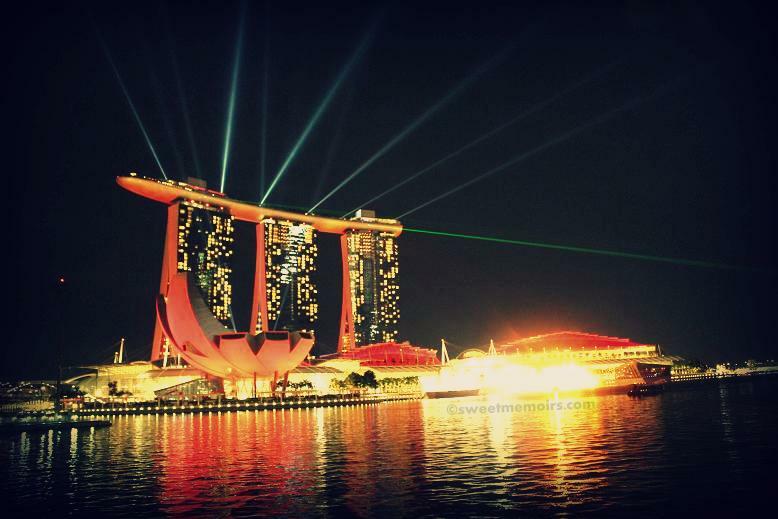 Last Saturday night, we were able to catch the Wonder Full show at Marina Bay Sands. Photos were taken from The Esplanade. The video projectors and giant streaming water screens are too far away for me to photograph (didn't bring my zoom lens) but we had a blast watching the visual effects of interweaving lasers, searchlights and LEDs. 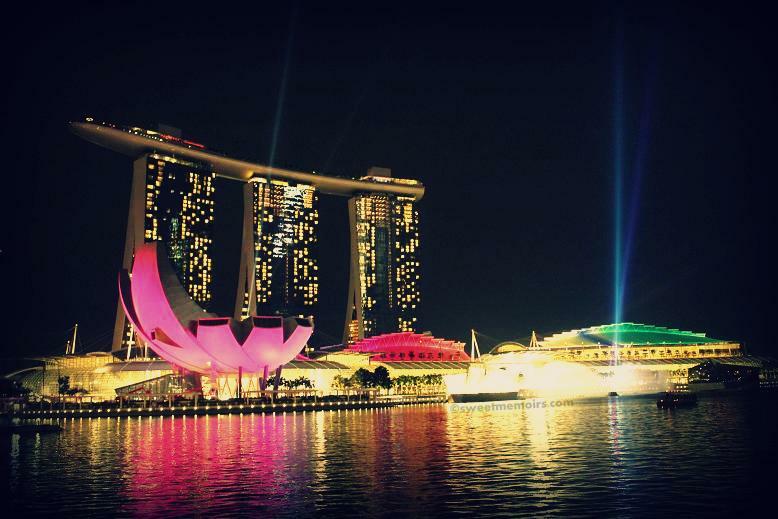 The Marina Bay Sands at night is simply stunning! Hubby suggested we should find a spot in front of The Shoppes at Marina Bay to document the show next time. Wonder Full is shown nightly, weather permitting. Shows and show times are subject to change or cancellation at the discretion of Marina Bay Sands' Management. WOW! That does look like a terrific show, Cher! Such incredible lights, colors against the night sky! And what awesome captures!! Thanks for sharing! Just like a mini Las Vegas! Spectacular colors and reflection! lovely capture! love the colors! Ganda! I'm sure THe Marina Bay Sands is one of the most visited places of photographers to practice long exposure shots. Wow! that must have been a grand show! Looks like a beautiful show!